“Thank you, Sandra and Daniel, for this extraordinary experience with truly extraordinary results. As a result, there has always been this whole in my life that I ignored and that has denied me the depth and richness of life I deserve. 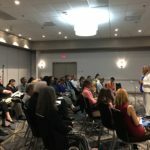 Sandra in just three sessions nailed what had happened in my past and knew what was preventing me from being the person I so desperately wanted to be. She has a rare gift and talent to pick up what the blocks are and how to resolve them. The reason I know this is a coach for Tony Robbins and having many other mentors in personal development I know very few have this ability. I first met Sandra at a group workshop, and from experiencing her work and process, I decided to go ahead with my private sessions. My son was diagnosed with autism a few years back. While we have spent a lot of money on language and occupational therapy, I was hoping that she might be able to provide additional insights into his condition: Was this related to his vaccines? Was it due to a head fall as an infant? As further context, my son was often angry with me as I had the task of taking him for a tough therapy session. In contrast, he was much closer to his father and often wouldn’t let me play with them. We live in a different country from Sandra. My son has never met with Sandra or spoken to her directly, but from her process, I still believed she would be able to help my child. I asked for his permission to allow her to work with him, by asking nicely and showing him her photograph. Fortunately, he said, “Yes”. Sandra helped me understand that the root issues came from another life, where my core character had also been tough on my son’s character in training him. The approach that had been fear-based, with tough punishments for mistakes. In contrast, in that life, his father had been the primary source of comfort. As for the autism, she explained that he had “chosen” this because of his fear of spirituality, that he could feel and sense spirits/ghosts around him and was afraid. Since being “reset” by Sandra, his relationship with me has improved greatly in a very short space of time! He’s started to tell me and his school teacher how much he loves me. Not only am I allowed to join family games, but he also tries to help me so that mommy can do better than daddy. For the last two years, he’s only wanted daddy to help him with homework. However, since working with Sandra, he now regularly asks me to assist him because in his own words, “Mommy is nicer to him than daddy”. Socially, he’s become more confident when speaking with strangers too. At school, he continues to make good progress. While I had sought therapy with a few psychologists through my life, I continued to struggle with abusive behavior in my life. This stemmed from being abused as a child and while I was aware, I was never fully able to break the cycle. Even as an adult, people who were supposed to look out for me or coach me, often either abandoned me during a time of need or would be abusive. My experiences included one failed marriage, with an ex-spouse with a hidden bad temper and a series of moody, volatile and verbally abusive bosses at the workplace. I had been working at breaking the cycle and on standing up/speaking up for myself with other therapists (e.g., with NLP or hypnosis techniques) and these efforts had met with some progress. 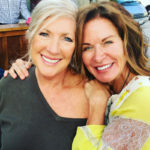 I worked with Sandra, who explained the root cause, which was linked to a past life. She described an extremely unpleasant life which was hard to listen to or believe. As a person who does believe in past lives, I had been searching for this specific soul without success but the soul immediately found me through Sandra. Once she explained the root cause, I felt like I finally had the key to unlock a major block in my life. Shortly after, I finally managed to break the cycle fully. I am now happier and more confident, even when dealing with difficult situations and people but I always do what is right for me.☺ As an unexpected outcome, by no longer allowing my boyfriend to treat me the way he used to, he’s finally also changed miraculously and is showing me a lot of love and kindness every day. For years, I made good progress in my career and finances but I often experienced large setbacks when I least expected it. I had worked hard on having my psychology aligned to what it was that I truly wanted but there still seemed to be a block that I could not free myself from. While I had accepted responsibility for all my choices, including my mistakes, I couldn’t understand why I could not break through a certain level of success. Working with Sandra, she unlocked a past life situation, where circumstances made me feel very unsafe and judged when I had more than others. As a result, I was always nervous or trying to make others happy by giving away my belongings or hiding them. While I felt instant relief from understanding this, it was extremely surprising to see how differently I started managing my career and financials within a week. In addition, the most unexpected, wonderful career and financial opportunities opened up very quickly too. Happily, I am pursuing them with a level of calm and confidence that I have never had before. Moving Through Issues that were holding me back! “The PLATINUM Being Experience is like no other self-improvement program. As an owner of multiple businesses, I have to make sure that I am always striving to be the best version of myself that I can be so that my businesses can be the best as well. – Business Owner, Melbourne, Australia. 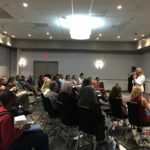 “Sandra and Daniel are profound healers, trainers, speakers, and authors who do some exceptional transformational work. I’ve experienced their work and found it truly life changing—so much so that I had them work with my entire staff, with magical results. They have an amazing ability to shift energy and remove blocks on very deep levels. “Dear Sandra & Daniel, I am still somewhat in awe re the Platinum Being Experience 3 Day event. If it hadn’t been for my brother Jim appearing to me with you Sandra I would never have come, I had ‘given up’ really, felt a hopeless case and had lost all trust in any workshops. My ego mind had created a fantastic story to stay feeling sorry for myself, powerless to do anything about it. That day of Neutrality was when my ego mind gave up the fight because of the Light that flooded in, there was no room for darkness, I was exposed. Thank you to you both, and Spirit and all concerned, I can not begin to express my deep heartfelt appreciation for literally receiving my life back. Co-incidences have been happening, timing amazing. I never quite know what lovely surprises to expect each day…it is all a bit foreign to me and I am loving it. People have been smiling at me more than usual, passing compliments…I love it!! LOL Feels slightly awkward (in a nice way) as I had been making myself more and more invisible. Actually, it’s not surprising that I am going so well… how could I be experiencing it any other way after such a miraculous weekend. “Dear Sandra and Daniel… There is a relationship happening, very different from anything I have had before. But the huge change is in me; it seems that overnight (or over the heartpower weekend) I have become a master of acceptance. My need to control situations, people, relationships have gone, or so it seems. “I want you to know how much you and Daniel changed my life in Italy. As soon as you released my blocks, I felt myself tingle from the inside out, and watched a bright column of golden light shoot through me. Definitely a first! Two weeks ago, out of the blue, I decided to write my novel on our 15-foot wall of sliding glass windows using a dry erase marker. The words just flowed and I felt utter joy the entire week. It wasn’t until the following week that my husband drew the connection to my childhood. I had felt safe, confident and free to “write on the walls” without retribution. So, thank you and Daniel for that! Thanks to you both, that was one of the best days of my life. I felt so free! “Hi Sandra, I am still a bit dazzled and I forgot to ask you. During that Intimate Collective Consciousness Spiral, I experienced this very strong connection to the Force. I could barely stand it, when suddenly I felt a very calming breeze coming from your direction. Was that a butterfly flapping its wings? Or it was you, Sandra? It calmed me in an instant… And it feels like touching… Eternity. Following the clearing and activation that you performed for me and after the end of the call, I spent quite some time in tearful gratitude. Today, I have experienced the freedom from anxiety that has been my constant companion for too many years. I even awoke two hours later this morning which indicated to me that my mind was, at last, peaceful. WOW!! Thank you for your love and generous use of your gift of healing. I now have the assurance that prosperity and abundance of everything is coming to me which is my birthright. “Sandra and Daniel unleashed my potential to truly give and receive love by removing the blockages and fears that I’ve lived with for over 50 years. 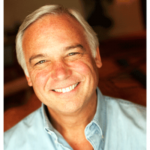 With this I feel enabled to incorporate the principles of success, the strategies, teaching, and feedback of the Jack Canfield training to become wildly successful in my own right, in areas I most care about. “I came in very restless & unsettled after a hectic day of business. I left feeling much more centered & calm. I felt the change at the first correction! Thank you so much, Sandra and Daniel. – M Lambrick, Business Owner, Melbourne, Australia. Great, clear information that was grounded but full of love. You both created a warm safe environment so we could explore more deeply. – K Lukis, Business Owner, Melbourne, Australia. 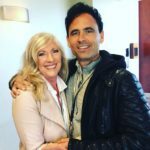 PRIVATE CLIENT JAN DESAI OF 2 YEARS SHARES HER EXPERIENCE AT ACTIVATE ENLIGHTENMENT 3 DAY LIVE EVENT! 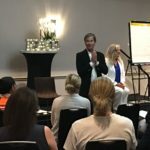 PRIVATE COACHING & ACTIVATE ENLIGHTENMENT LIVE TRANSFORMS THIS COUPLES LIFE! 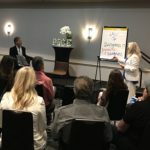 STEPHANIE LET’S IT GO AT ACTIVATE ENLIGHTENMENT LIVE! MICHAEL HROSTOSKI FOUNDER OF THE SCHOOL FOR MEN CLEARED PATTERNS LOCKED DEEP IN THE UNCONCIOUS! BUSINESS EXECUTIVE HAS FOUND EASE, PEACE, AND JOY!